Carolina One Vacation Rentals is a full-service vacation rental company managing some of the finest vacation properties on the Charleston Coast. Our Portfolio of over 235 vacation properties are located on the Isle of Palms, Wild Dunes, Folly Beach and Edisto Island. We provide professional management to properties ranging from 1brm condominiums to 10-bedroom homes. With offices are located on the Isle of Palms, Edisto Island and Folly Beach (Fall 2019) and a staff of over 18 professional property managers, inspectors and reservation specialists our company is focused on providing our owners the maximum rental potential through superior marketing and personal property care. 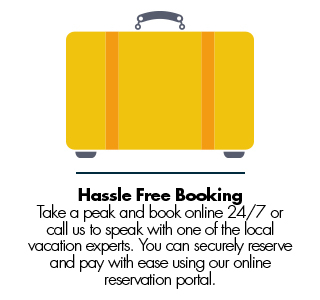 Our rental software is linked to each of these travel platforms providing instant booking opportunities 24 hours a day. Carolina Ones website is user friendly and mobile friendly, allowing vacationers to search for properties and secure reservations online. Our properties are promoted on many social media fronts including, Facebook, Instagram, Twitter and Pintrest. We market to our established client base of over 11,000 vacationers with creative email campaigns featuring local events and seasonal specials and last-minute opportunities. Owners have access to securing dates and blocking out time for friends and family through our owner portal. A complete accounting is done monthly and an easy to read statement of revenues and expenses are available online to each owner. Direct Deposit is made on the 5th of each month depositing the owner proceeds directly into your account. All applicable state and local accommodation taxes are collected on your behalf and paid to the appropriate local tax authorities. Complete year end accounting is provided on a timely basis. We make it easy on our owner clients! We know that providing quality accommodations that are exceptionally clean and well maintained are the keys to success in this highly competitive vacation industry. To that end we partner with seasoned cleaning specialists that hold our standards of excellence. Our guest experience is our number one goal. Maintenance services are provided by licensed and insured companies that understand our focus on the guest experience. Each reservation will include a departure cleaning paid by the guest. Owners only incur a cost for cleaning when the owner requires cleaning for family or friends. Owning a vacation home can be stressful. Let us help take care of the small stuff. 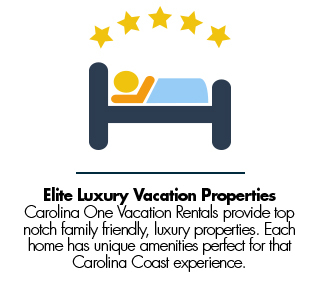 Thank you for considering Carolina One Vacation Rentals to represent your vacation rental home. Please contact us for a competitive rental review. We would love to meet you and show you what our program offers.